The Law Office of George O. Haskell, IV, is a law firm located in Macon, Georgia. 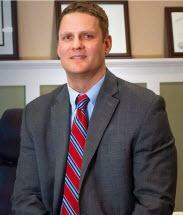 Attorney George O. Haskell established the firm in order to carry on his family's tradition of providing effective legal counsel to injured people in Middle Georgia. By working closely with clients, he is able to ensure that each client receives personalized attention. Mr. Haskell handles injury cases of all types, including a broad range of motor vehicle accidents. If you were injured in a car, truck or motorcycle accident, Mr. Haskell is prepared to take legal action on your behalf. Even if the other motorist fled the scene, was uninsured or underinsured, Mr. Haskell can take steps to obtain compensation for you. A personal injury award can cover your medical expenses and lost wages and compensate you for pain and suffering you have experienced as a result of your injury. Without a lawyer by your side, insurance companies can take advantage of you and minimize or even deny your claim. An attorney like George O. Haskell can level the playing field and force the insurance company to take your claim seriously. Schedule a consultation to discuss your personal injury claim with Mr. Haskell by contacting The Law Office of George O. Haskell, IV, in Macon, Georgia, as soon as possible.